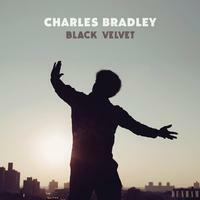 Featuring lead single "I Feel A Change"
Black Velvet is the posthumous final record from soul singer Charles Bradley, arriving on Dunham Records, the late soul singer's Daptone imprint. Black Velvet was assembled by Dunham and Daptone. It features songs from the recording sessions of each of his three albums: "No Time for Dreaming" (2011), "Victim of Love" (2013), and "Changes" (2016). Black Velvet features Bradley's covers of Nirvana's "Stay Away," Neil Young's "Heart of Gold," and Rodriguez's "I'll Slip Away." Bradley died in 2017 at age 68 after battling stomach and liver cancer.